A visual novel project headed by Hikage Studios. A team of wacky visual novel developers brought together to showcase unique narrative .experiences. Stained with Magic is during the near future. Exploring concepts such as religion, scientific development, occultism, and the human mind, exploring their roles within human society. Within a gritty fusion of science and magic. Currently, Volume One has been released to the public. To a fair success, receiving negative and positive criticism. Volume Two is now under development. Each game is being developed for PC, MAC and Linux using Unity3D and UTAGE. In addition, a future release for Android and IOS is being considered. 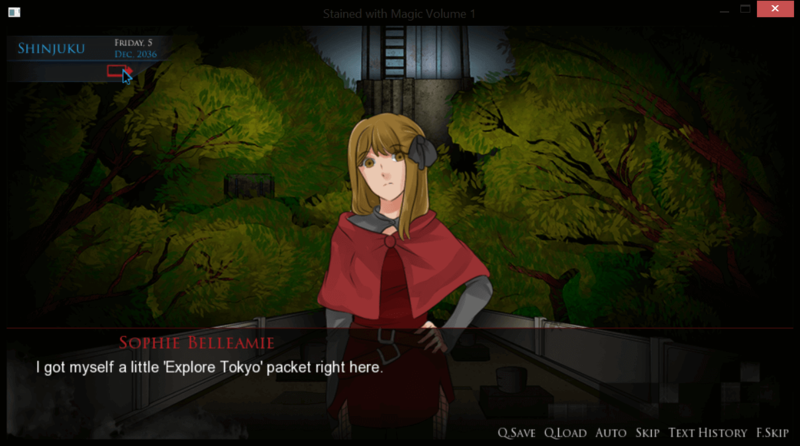 Players will be able to experience Tokyo through the eyes of two playable characters, Fukuda Ryota and Sophie Belleamie. Players will engage in quick-timed decisions making when facing difficult situations. Decisions must be made quickly or suffer through a range consequences. 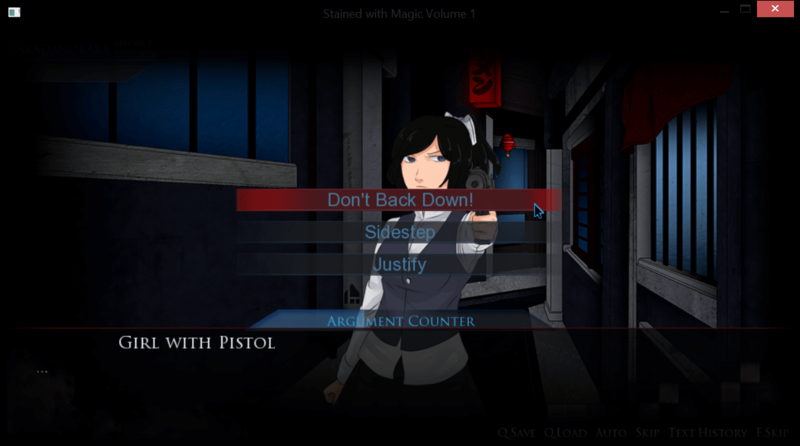 Throughout the game, players will have the opportunity to take on other characters in verbal debates. It's important for the player to carefully choose how they will proceed within these circumstances. As results can affect player attributes, relationships or even result in game over. With Limbo Social Networking, players can chat and reply to messages from other characters. Allowing us to see another side to the characters and explore new bounds within their relationships. While exploring Tokyo, players will be invited to take part in exploring the area around them. Here players can discover hidden secrets and unlock new scenes within the story. A group of talented people of varying skills, who love to work on visual novel projects. As a further note, our members are located across the globe. Each member has a different set of skills, languages, and backgrounds. But our love for visual novels has brought has together. Currently, the team works on projects during their spare time. They give a lot of their time to the project, but an outside business may call us away. Our members can be busy with university study or full-time jobs. 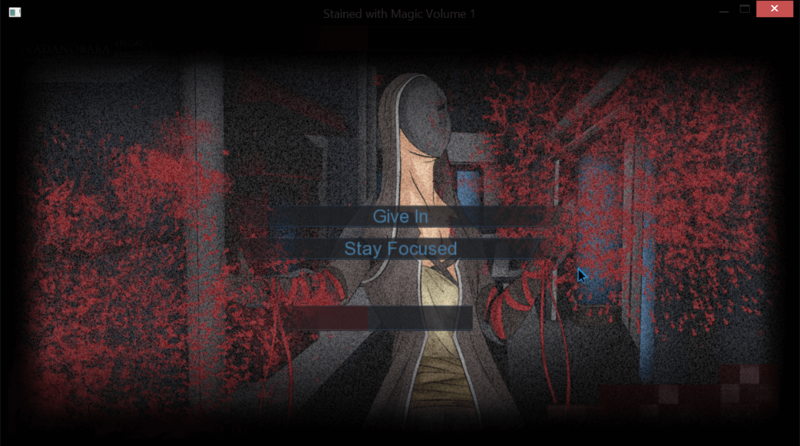 How will Stained with Magic be released? 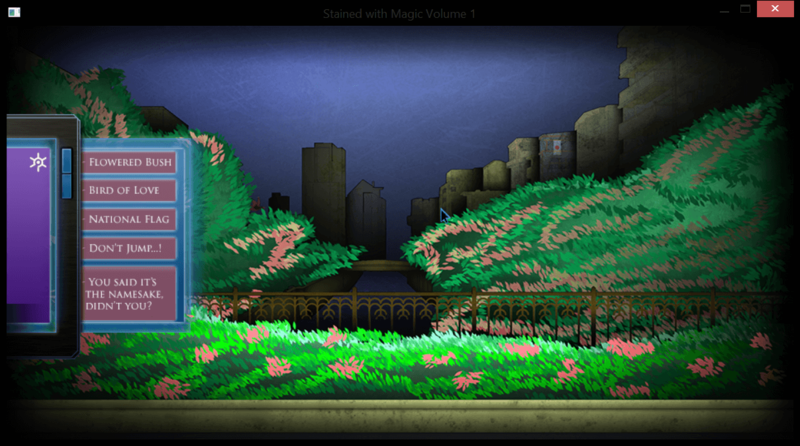 The Stained with Magic project will be released via a series of volumes on a 6-month plan for each volume. A demo and a beta-prologue and available via the download page on the website. We do have the intention and have discussed such topics in the past. A large thank you to our current and future fans. Volume One was developed with Ren'py! We Thank the Clever Minds Behind Each Product. We thank Github for our file management needs. Thank you to Slackbot for our organisational needs.